What does a Dallas Personal Injury Attorney do? If you or a loved one are a Dallas, Texas injury victim, contact a Dallas personal injury lawyer today to get a thorough consultation as to your legal rights. Why do you need a Dallas, TX Personal Injury Lawyer? 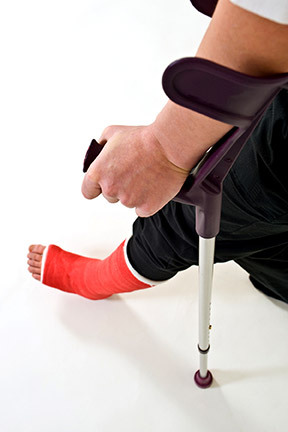 A Dallas personal injury attorney can help you in a variety of ways. In most cases where someone gets injured due to the negligence of another or a company, there is insurance to cover the personal injury claim. If you have ever dealt with an insurance company before, then you will immediately know why you need to hire and experienced and competent Dallas personal injury lawyer. Additionally, Dallas personal injury lawyers or Dallas County personal injury lawyers can represent you in your personal injury claim throughout Texas state and federal courts. An experienced Texas personal injury lawyer will provide you with support during your time of need and get you the compensation you deserve. What does a Dallas personal injury attorney charge? Most lawyers charge an hourly rate plus a retainer fee. These types of lawyers perform billable hours and charge you according to the amount of time they spend working on your case. This is not the case with Dallas personal injury attorneys. Personal injury lawyers, or PI lawyers for short, are permitted under Texas ethics rules to represent clients under a “contingency fee” agreement. The specifics of the contingency fee agreement will vary from state to state and even from lawyer to lawyer within a state; however, a contingency fee basically means that if the injured person does not recover anything, then they pay will not be required to pay their lawyer anything either. Specifically, under a contingency fee agreement, your Dallas personal injury lawyer will take a predetermined percentage of any recovery they obtain for you, the client. Not only does this save you immediate out of pocket expenditures, but it also aligns your lawyer’s interests with yours, ensuring they work efficiently to get you the maximum recovery, and do not simply rack up lots of hours. Where do Dallas Personal Injury Attorneys or Dallas County Personal Injury Attorneys file cases? If you need a Dallas Personal Injury lawyer, CALL NOW for a free initial consultation.